The European Parliament’s transport committee has proposed that all UK vans should be fitted with tachographs in a similar manner to lorries. The proposition is part of the latest draft of the European Union’s Mobility Package, and stipulates that operators of commercial vehicles weighing between 2.4 and 3.5 tonnes would be required to fit and operate a tachograph. A tachograph is a device that records information about a driver’s time, speed and distance at the wheel. They are designed to ensure that employers follow the rules around drivers’ working hours and are a legal requirement for heavy goods vehicles (HGVs). Drivers are issued with smart cards that are inserted into the tachograph unit when they begin their shift, which starts the recording. The unit is fitted to the interior of the vehicle and the law states that it has to be mounted within the driver’s field of vision so they can easy see any visual warnings – for example, the unit might tell them they are close to that day’s driving limit. Conventional vans do not currently have to be fitted with tachographs in the UK, as they only apply to vehicles that weigh more than 3.5 tonnes. The exception is if you’re towing for business purposes, and both the vehicle and its trailer have a combined weight of more than 3.5 tonnes – at which point the van must be fitted with a tachograph. The Mobility Package has not yet made it through the courts. However, if it is confirmed in its current form, then it could be implemented before the UK’s scheduled exit from the European Union in March 2019, therefore requiring British van drivers to comply. The Freight Transport Association (FTA) has reacted angrily to the proposal and claimed that it would make life difficult for van operators, adding extra expense and administrative duties. “Forgetting the cost implications of tachograph installation for so many hard-working British businesses, the introduction of this equipment in the vans sector would be pointless and time consuming,” said the FTA’s deputy CEO, James Hookham. However, tachographs could help businesses to comply with existing laws governing van drivers’ working hours. 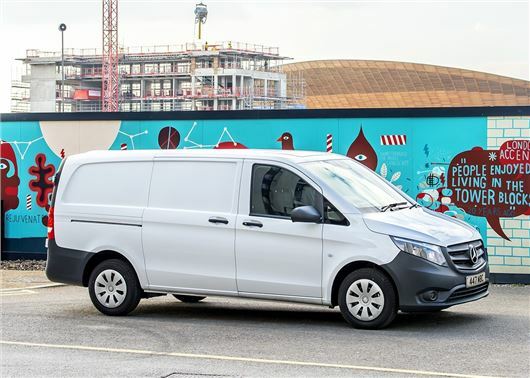 The UK government states that drivers operating a van for business purposes and for more than four hours a day must follow a series of rules, including keeping a record of the amount of time spent at work and behind the wheel, in order to remain compliant. If drivers flout the rules and are found to have exceeded the maximum daily driving limits then they can be issued with a £300 fine. In reality, it is difficult for authorities to enforce such laws without the existence of a formal and tamper-proof monitoring system such as a tachograph unit.